+ Anodontites trigonus trigonus (Spix, 1827). — Ramírez et al. (2003: 273). = Anodontites (s.s.) trigonus trautwinianus (Lea, 1852). — Haas (1969: 561). = Anodontites (s.s.) trigonus trautwinianus (Lea, 1852). — Haas (1931: 91). = Anodontites (s.s.) trautwinianus (Lea, 1852). — Simpson (1914: 1427). = Glabaris (s.s.) trautwinianus (Lea, 1852). — Simpson (1900: 922). = Margaron (Anodonta) trautwiniana (Lea). — Lea (1870: 81). 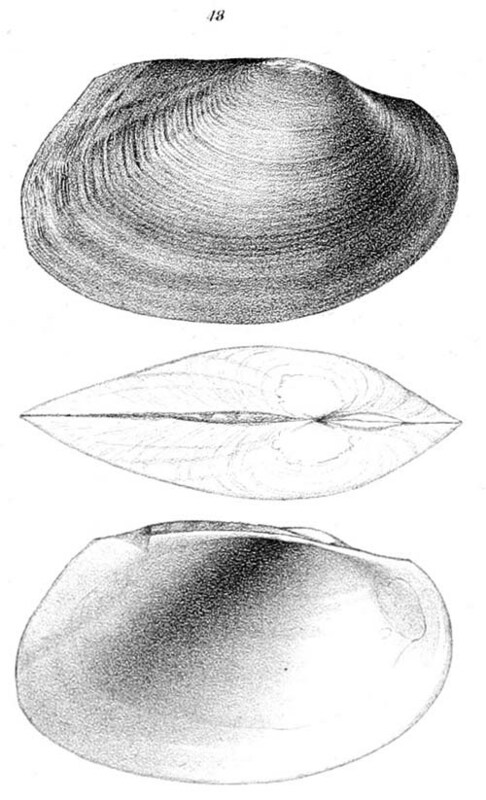 = Anodon trautwinianus (Lea, 1852). — Sowerby (1870). = Anodonta troutwiniana [sic] Lea. — Adams & Adams (1857: 503). = Anodonta trantwiniana [sic] Lea, 1852. — Hupé (1857: 90). = Margaron (Anodonta) troutwiniana [sic] (Lea). — Lea (1852: 51).